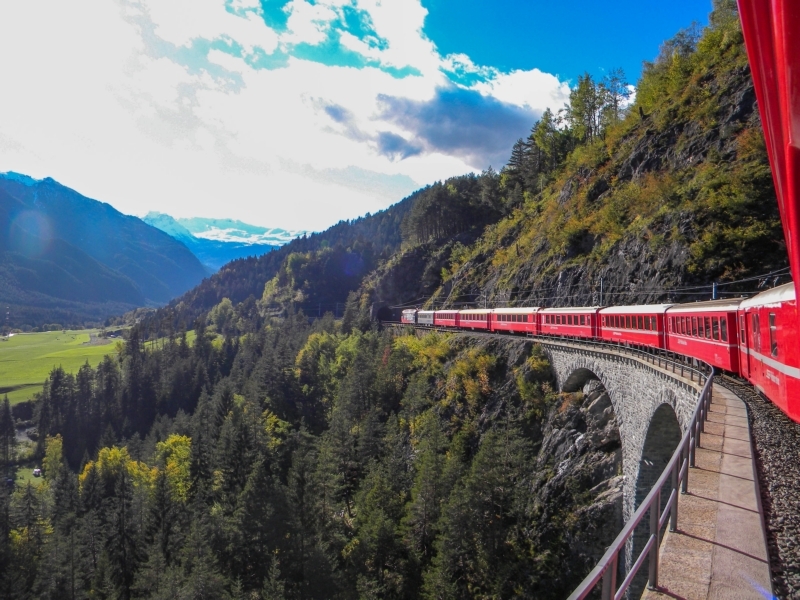 There’s no better way to see Europe than by rail. I’m currently making my way through Spain, France and Italy, and train travel is an exciting way to explore the continent. I’ve found train stations to be located centrally, making arriving in a destination simpler than flying into an airport and i’ve taken in so much breathtaking scenery along the way that gives me a sense I am seeing more. By far the most convenient and cost efficient way to travel by rail in Europe is with a Eurail pass, which is what I am using on this trip. The Eurail pass lets you travel on trains run by national train operators in up to 24 European countries. There are a wide range of European rail passes that can be customized based on how many countries you want to visit and how many travel days. Not sure if a Eurail pass is right for you? Here’s my top ten reasons to travel with a Eurail pass. Ok, we all know the most important reason to use a Eurail pass is because it helps you save money. Saving money using a Eurail pass is not a guarantee. With your pass some trains will still require a reservation fee. However, if you use your pass to travel on trains without a reservation fee you will most likely spend way less than if you bought all train tickets piece meal. No matter how many cities, countries and days you will be traveling, there is a Eurail pass that will ft your trip. Passes are available for one country up to 24 countries and for three days to three months. With a rail pass you don’t have to queue up at every ticket office at every train station you visit. For trains that don’t require reservations you can just hop right on the train when it arrives to the station. For most trains you do not need a reservation when you hold a Eurail pass. This means you don’t have to worry about booking ahead of time. If you are exploring a city and want to spend more time there, just catch the next train. Europe can be overwhelming to navigate, especially for first time visitors, but the Eurail Customer Service team are experts on helping you decide what pass is right for you and how to fit highlights into your itinerary. They respond to emails within 24 hours or Facebook page posts in 8 hours. Eurail knows that planning your trip to Europe is a big part of the fun. Their website has a number of itinerary ideas to get you started and the Eurail map shows the approximate travel times between popular cities to give you an idea of the amount of time you’ll need. One of the best kept secrets of purchasing a Eurail pass is that it comes with extra benefits that extend beyond train travel. Benefits include free travel and discounts on ferries, boats and buses as well as hotel and hostel discounts. Planning an extensive rail journey can be tough and require a lot of last-minute changes. The Eurail Rail Planner App includes a trip planner, European timetables and city maps. The best part? It works offline so you can use it while traveling without internet. Rail travel in Europe is easy, but if it is your first time there are some oddities that can be confusing. Station stops are not always announced, station stops are often very bried and trains are sometimes split in the middle of the journey. With the purchase of a Eurail pass you also receive a Pass Guide that discusses many of these things, so by the time you hop on board your first train you will be an expert. Chances are you aren’t going to book a trip to Europe just to see Slovakia. But if you are saving money by using a rail pass and have extra travel days you can take advantage and visit off the beaten path destinations that might not have been on your original itinerary. I’ve discovered a lot of interesting places this way, Slovakia included. Note: A version of this post originally appeared as a guest post on Seven on a Shoestring. I received a complimentary Eurail pass to review from Eurail. this is very beneficial journey.